There are several issues that could cause a sewage water backup. Sometimes the issue clearly originates in your property. Perhaps non-flushable items have gone down the toilet, creating a clog. Maybe the plumbing is older and malfunctioning. Sometimes, however, the issue stems from circumstances entirely beyond your control. Perhaps tropical storms have flooded and overwhelmed the sewer system, and now raw sewage has been forced through the pipes up into your property. When this happens, does the responsibility of sewage cleanup still fall to you? Unfortunately, it does. But don’t worry. 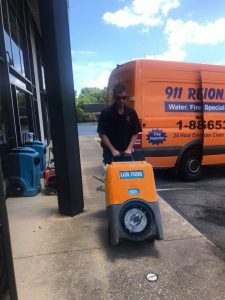 All it takes is one phone call to pass that burden on to sewage cleanup experts who can make your property look and feel like that sewage water backup never happened. 911 Restoration of Miami has IICRC certified sewage cleanup technicians standing by 24/7/365. Call literally any time, and a caring specialist will be at your door within 45 minutes. They’ll think of everything so you can relax. If your sewage backup has caused structural damages, they repair it. If toilet water damage has led to a mold infestation, they remove it. They even guide you through insurance procedures, helping you understand what coverage you can expect and filing your claim on your behalf. At 911 Restoration, we know restoration is quicker and easier than most expect. But we don’t expect you to know that when you’re staring at a raw sewage spill in your own home. Our goal is to lift the entire burden of sewage cleanup off your shoulders by address every single concern a sewage backup creates. 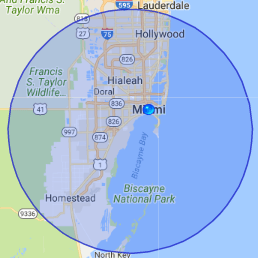 If you have a seemingly hopeless sewage water backup issue in Miami, Fort Lauderdale, Pembroke Pines, or the surrounding area, call us today. 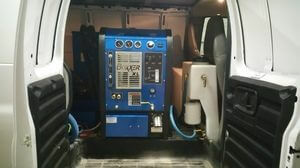 You’ll be amazed at what a breeze recovery can be. Even though it’s far more foul than a basement flood or pipe burst, a sewage backup is technically another form of water damage. As with all water damage incidents, you can’t afford to waste a second in cleanup. Sewage water damage increases the longer black water is in contact with your flooring and walls. You likely realize that hardwood and carpet are especially vulnerable. Wood can weaken and rot with prolonged exposure to any moisture. Carpet soaks up water, and its fibrous material makes it especially prone to contamination from sewage. What you may not realize is that even the concrete floor of your basement is vulnerable. Without proper drying by a certified professional, concrete soaks up sewage water like a sponge. Moisture rises to the top eventually, ultimately leading mold infestation, mildew, or damage to any flooring laid over the concrete. The less contact sewage water has with your property, the fewer damages you have to contend with. That’s why the sewage cleanup specialists at 911 Restoration consider your sewage backup an emergency. They act quickly to pack out and protect your undamaged belongings and to remove sewage from the property. These experienced professionals have seen their fair share of sewage water backups, and they’ve developed reliable strategies for minimizing your damages. While they can’t prevent damages that occurred before they arrived, they can prevent additional, unnecessary loss. They also repair any destroyed flooring or drywall, so that when all is said and done, your property truly does feel brand new. Better than new, in fact. Hand all your stress and worry over to 911 Restoration of Miami. Call now for peace of mind and a Fresh Start. When raw sewage spills into your basement or overflows into your bathroom through contaminated toilet water, it introduces a variety of hazardous microorganisms into your space. Sewage water—also known as “black water”—is likely to contain anything from E. coli to salmonella. 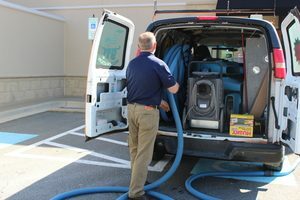 Whether it’s bacteria, viruses, or parasites, a sewage backup often means disease-causing organisms have entered your home or business. That’s why you need the care of an IICRC certified sewage cleanup professional. The staff at 911 Restoration has all the proper tools and knowledge to rid your home of dangerous microbes. They’re fully qualified to remove not only bacteria-filled black water, but also any toxic mold that my have developed as a result of sewage water damage. You can be sure every harmful substance is vanquished from your property with the utmost care and safety. Then, the entire affected area is sanitized completely. A sewage backup is a major headache you likely did nothing to cause. Fortunately, 911 Restoration of Miami is standing by, ready to take that headache from you and make your property new again. Take a deep breath, relax, and call 911 Restoration today.